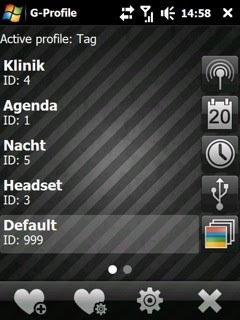 Profile switcher based on time, appointments, cell id, programs, activesync, headset, handsfree. With G-Profile you can define unlimited profiles which manage the state of your device (e.g volume, ringtones, WiFi, Bluetooth, phone radio, 3G, ...). 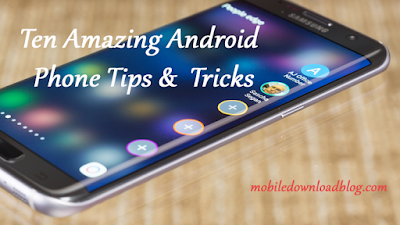 You can set wether a profile should be only activated manually, at a certain time, when an appointment in your Pocket Outlook calendar occurs, when you connect your device to AC power / a headset / a handsfree or via ActiveSync (Windows Mobile device center) to a computer, when a specified program is launched or you your phone is connected to a specific cell tower.